The new Mercedes-Benz A-Class Sedan is set to go on sale in the US at the late part of 2018. The car is positioned to replace the CLA as the entry-level luxury car of Mercedes in the country. The fresher product is expected to recreate the magic of the CLA when it was introduced in the American soil. For two decades, the A-Class has been kept out of the US market. Despite that, it sold more than six million units worldwide. The arrival of the range’s all-new sedan version is projected to boost the said figures. 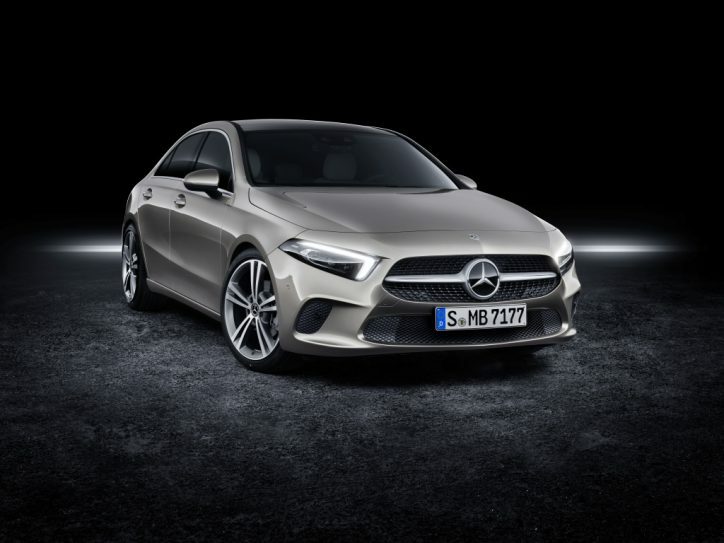 Like the CLA, the A-Class Sedan caters to younger buyers with its more affordable pricing compared to other Mercedes models and luxury cars from other makers. It is estimated that the product will cost more or less $30,000. The appeal of the auto to younger buyers is further amplified by its high-end MBUX (Mercedes-Benz User Experience) multimedia system. MBUX, which is debuting with the A-Class Sedan, features an intuitive and intelligent multimedia system that is capable of understanding and executing the commands of its users while keeping track and learning from their preferences at the same time. The tech’s smart functions can be likened to Siri and Alexa. According to Mercedes-Benz USA CEO Dietmar Exler’s interview with Forbes, the buyers of the CLA are 11 years younger on average. At present, around 70% of CLA customers are new to the German luxury car brand. Exler believes that the statistics are a big deal for a new generation of customers. “The formula for success is simple: Attract young customers to the brand and keep them for life,” he said. Meanwhile, Forbes reminds that SUVs are enjoying a high demand nowadays. In fact, its sales are expected to surpass the sedan market within the next five years. Mercedes alone sells one SUV out of every three vehicles it delivers to customers. Stephanie Brinley, an analyst of IHS Markit, thinks that Mercedes is on the right track though. Updating the A-Class and getting it into the US market is a wise move for the brand. Combined with the resiliency of Mercedes when it comes to selling luxury sedans, the arrival of the A-Class Sedan to the US and China will help the German brand grow to 86% based on her forecast.